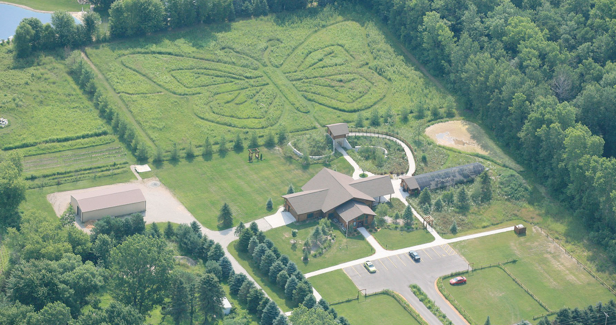 Welcome to Butterfly Gardens of Wisconsin! The Butterfly Gardens will be open June 1st! Admission fees are $7.00(adults) & $3.00(ages 3-7), Age2 & under Free. Our cell phone is 920-475-0777. DRIVING DIRECTIONS: Take Exit 142 off from US Highway 41 and go north 2 miles on State Highway 47. We are just north of the Broadway Drive intersection. N2550 State Rd 47, Town of Center. Our mission is to encourage everyone to have a backyard butterfly garden. In order to attract butterflies, it is necessary to grow prairie butterfly nectar and host plants. These plants can be purchased in our gift store.